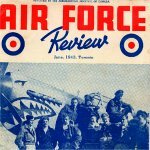 1943, Kittyhawk Mk III, GA-V FR440 (42-10061 to RAF as Kittyhawk III FR440. 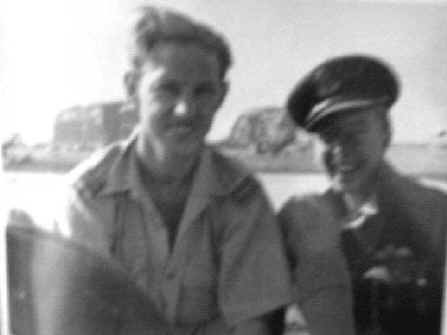 DBR when belly landed S of Fayid after engine failed during overshoot), GA-L FR472, (Curtiss P-40K-15-CU, 42-10329 to RAF as Kittyhawk III FR472. 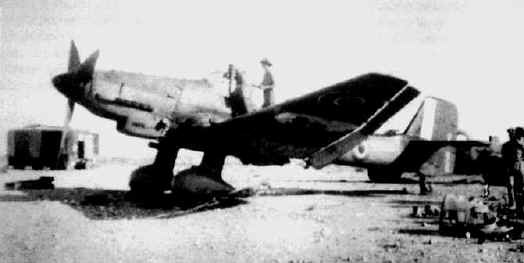 SOC May 31, 1944) and possibly GA-D, FR412 or GA-C, FR452 warm up for take off - Three Curtiss Kittyhawk Mark IIIs of No 112 Squadron, Royal Air Force preparing to depart from Medenine on a sortie. The pilots of FR472 `GA-L' and FR440 `GA-V', are waiting for the section leader in the farthest aircraft to move out. 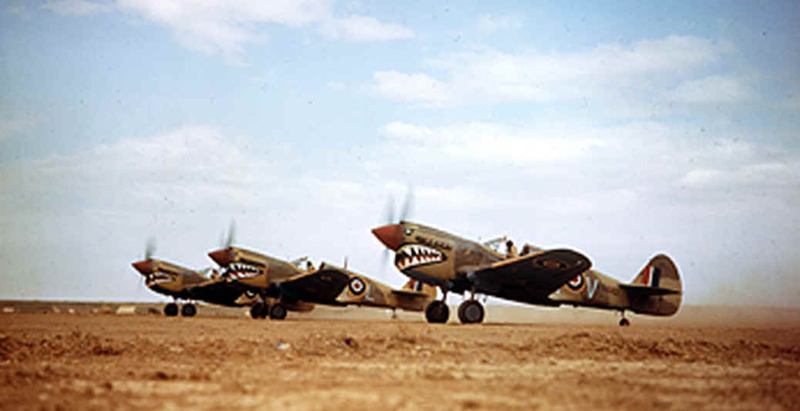 All three Kittyhawks display the squadron's distinctive 'shark mouth' insignia. 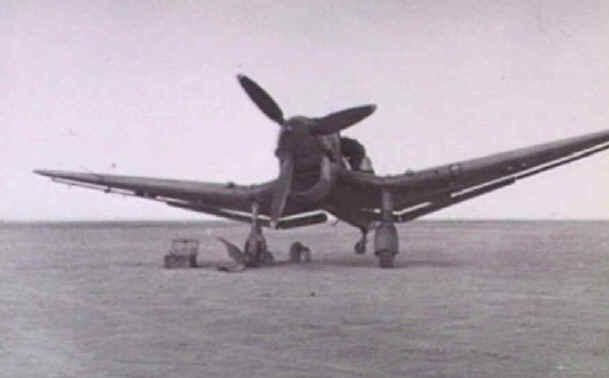 A Curtiss Kittyhawk Mark III , note plane code painted on the wheel knuckle, of No 112 Squadron, Royal Air Force taxiing through the scrub at Medenine (between 21 March 1943 and 3 April 1943). 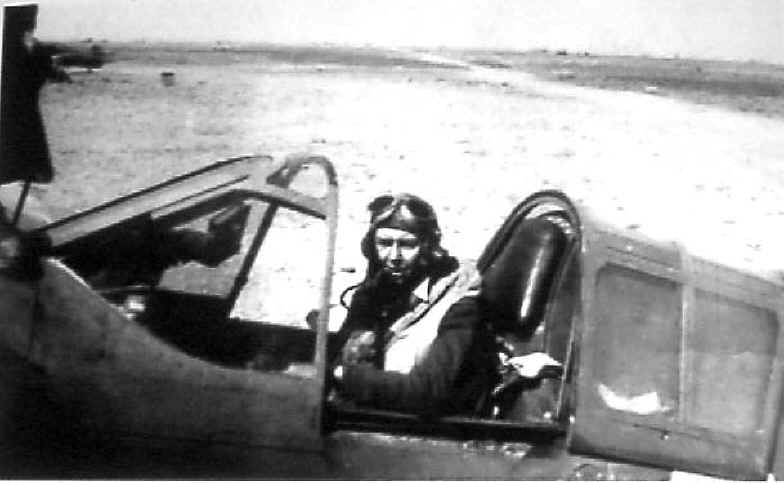 The ground crewman on the wing is directing the pilot, whose view ahead is hindered by the aircraft's nose while the tail is down. 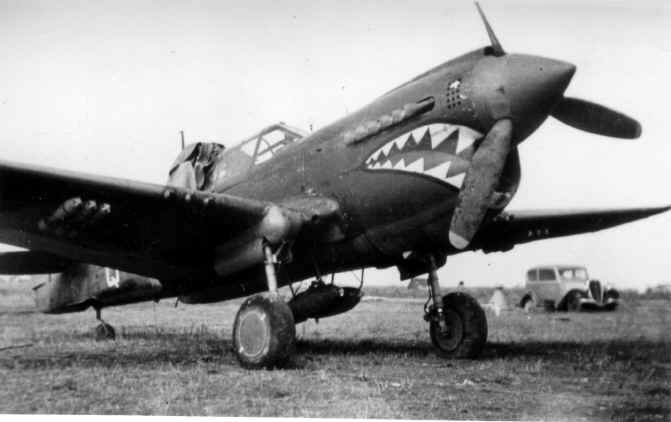 The aircraft displays the squadron's distinctive 'shark nose' insignia. 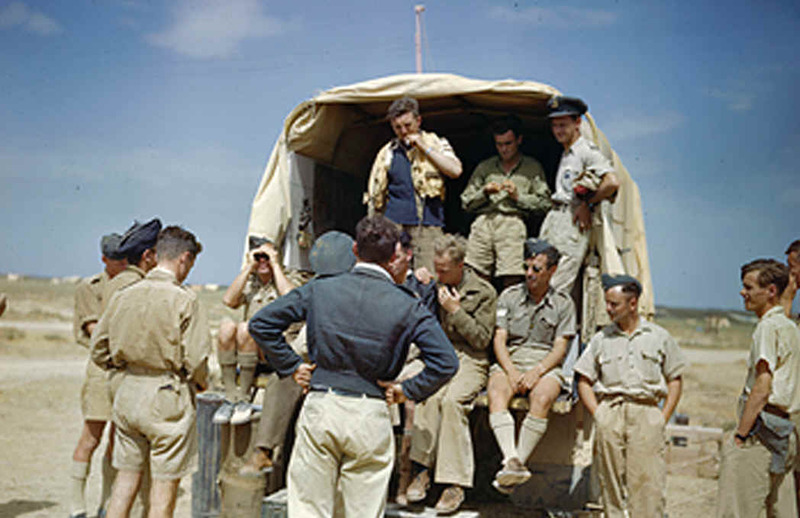 At Zuara (23 May 1943 to 18 July 1943) Sqdn Ldr Garton beside his plane FR472 GA L, briefs his Flight Commanders, Capt Saville and Lt Usher. 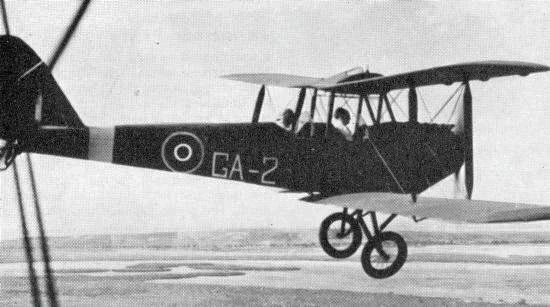 The aircraft is Kittyhawk GA-L. 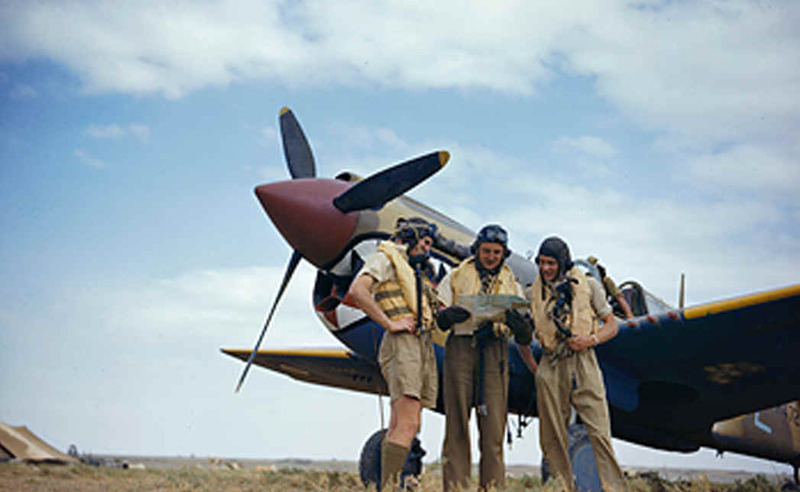 FR472., The CO of No 112 Squadron, Royal Air Force and his two Flight Commanders discuss a course. 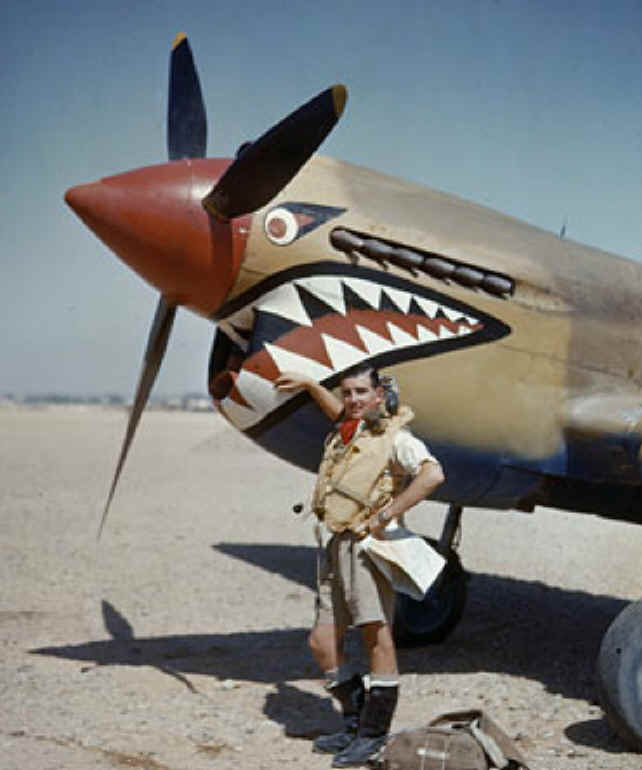 Squadron Leader G W Garton holds the map; the pilot on his right is believed to be Captain E C Saville, the 'A' Flight CO and the officer on his left is thought to be Flight Lieutenant L Usher, the 'B' Flight CO.
A photograph of "Marble Arch", one of Mussolini's constructions, between Benghazi, Tunisa and Tripoli, also known as Arco Philaenorum. 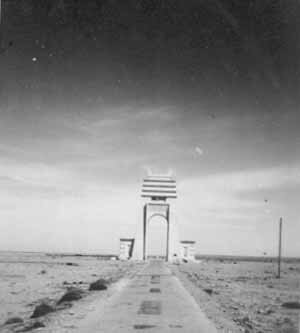 This was a grandiose arch, spanning the coast road, which had been erected by Mussolini to mark the dividing line between the two provinces of his Libyan empire: Cyrenaica to the east, Tripolitania to the west. 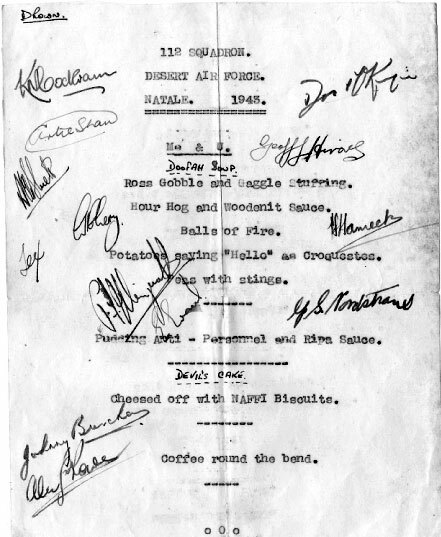 Arrived, 15 Sept 1943, Grottagilie (Italy) On arrival they where at first totally supplied by Dakota planes only After the invasion of Italy on 3 September 1943, No 239 Wing was based at Grottaglie in Southern Italy between the 17th and 19th to support the Allied attacks on the island. 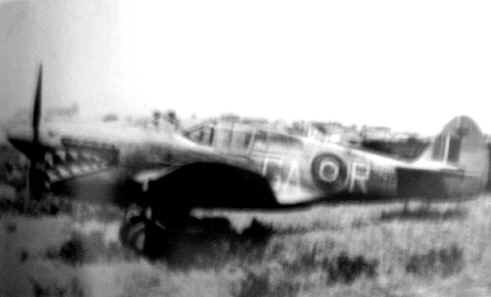 By October the Wing was established first at Reggio and then Foggia in southern Italy. 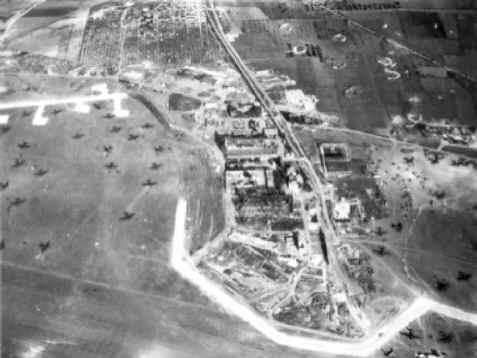 From the two airstrips, the Wing answered a stream of calls from the Allied armies (US 5th and British 8th) for close air support missions, as well as bombing and strafing enemy supply lines. 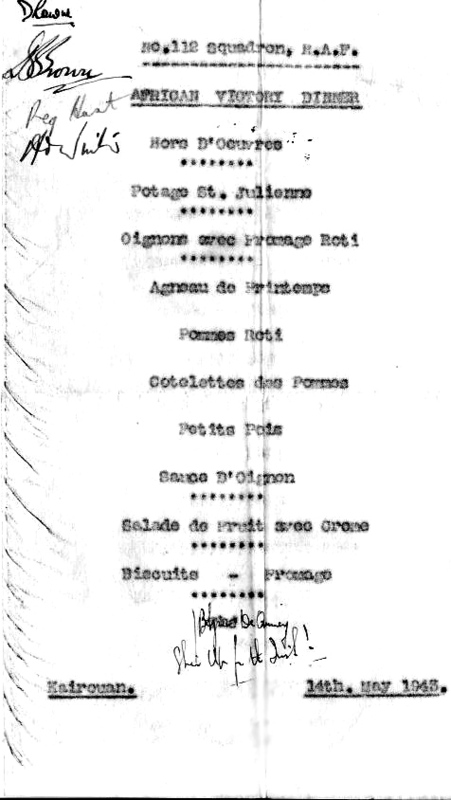 Any info on the people pictured? 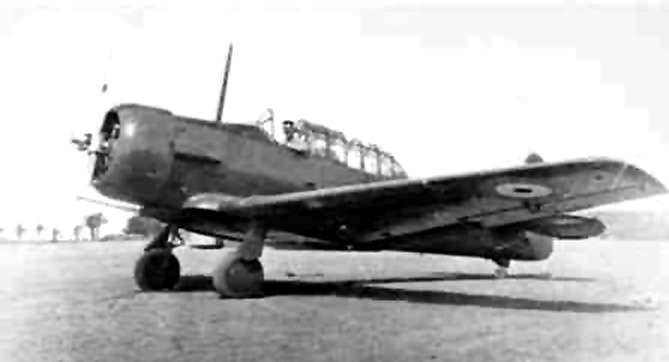 This Caproni Ca.309 Ghibli Serie VI with a forward firing 20mm cannon in the lower nose was captured by the British and seen at Brindisi on December 25, 1943. 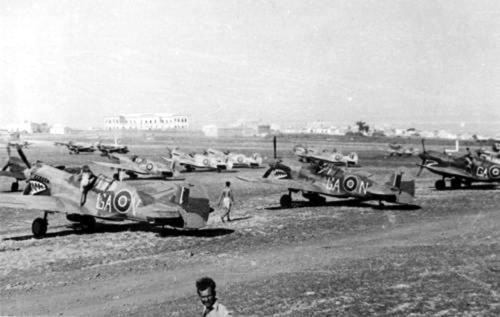 GA-V, GA-N and GA-G, lined up with 260 Sqdn at Pachino LG in Sicily in far background two 112 Sqdn planes prepare for take off.